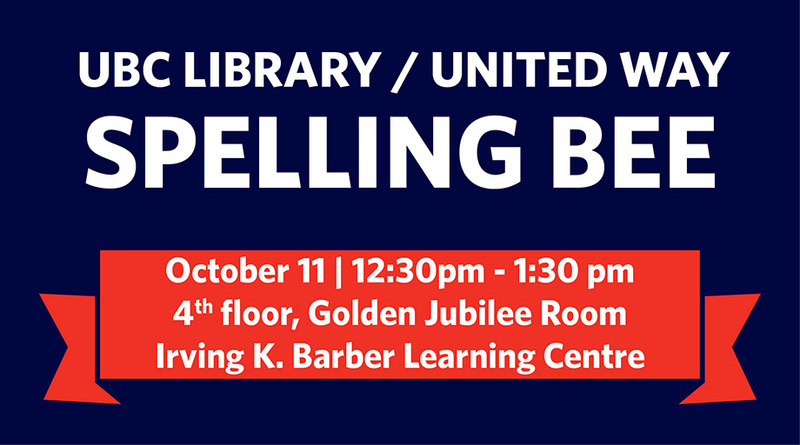 UBC faculty, staff, and students are invited to create a team of 4-10 people and compete for the win in this annual cross-campus event to raise awareness for the United Way. To register your team, fill out the online form by October 5th. Registration is on a first come, first served basis, so don’t delay! Download the 2018 Spelling Bee Poster. For more information, please contact Stacy Campbell.